Bill Gates’ Damage Control via Student Test Prep Questions? Directions: Read the selection and answer the questions. Bill Gates had a dream that changed the world. 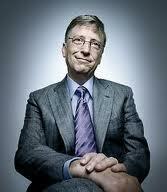 Born in Seattle, Washington, on October 28, 1955, Bill Gates grew up with his parents and his two sisters. As a teenager Bill believed that computers would change everyone’s life, and he wanted to be a part of it.Bill Gates went to Lakeside School in Seattle. He was very smart and got straight A’s in school. After school and on weekends, he worked on what he loved best. computers. Sometimes he would forget to sleep and would work all night on the computer. He knew more about computers than most grown-ups. When he was 13, Bill began writing computer programs that told the computer what to do. Bill knew that computers could be used for things like helping kids with math problems, writing stories, drawing pictures, or playing games. In 1973, Bill went to Harvard University as a freshman. In college, Bill began to write a computer language. In 1975, Bill and his old school friend Paul Allen began a company called Microsoft. 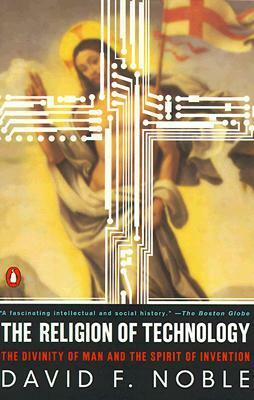 Bill believed that computers would one day be used by people at work, in schools, and in homes. He knew that people would use computers to help them do their work and to have fun.Bill worked for six weeks with his friend Paul to write the first computer language program. Sometimes Bill would work sixteen to eighteen hours a day to get his work done. He found his old high school and college friends to help him in his company. Sometimes they brought sleeping bags to the office so they could work long hours to finish a job. Bill still works seventy to eighty hours a week at his job. Bill Gates is one of the richest men in the world. He and his wife Melinda like to spend their money in ways that will help the world. They gave billions of dollars to improve the learning and health of people all over the world. He even received a knighthood from the Queen of England for his caring work. Bill is a father of three children. When he is not working hard at his company, he likes to read or play golf. You can see a copy of the test and the answers here. Propaganda fed to our children? Gates and his foundation are starting to feel the heat of controversy over his ideas of how public education should be managed as well as his investments in Monsanto. a company that produces GMO seeds. This pushback is happening in his own backyard and around the world. This post was written a year ago and is now receiving a greater amount of attention. I have been asked if the question was actually on a test and it was. A copy of the exam was provided to me by a parent who I have known for a few years. How dare he insert himself into the testing. What a frigging egomaniac. I’m glad my daughter is 25 now. She learned how to write script/cursive. She learned that 4 plus 4 equals 8, not 10. She has not had to suffer the common core, race to the top, etc. and these pigs buying education, opening charters that do no better than public schools (although the charters have more autonomy and lots more cash) and take cash away from our public schools. Vouchers do the same. What the hell is wrong with the world? These billionaires have to be stopped. Hopefully parents’ eyes are being opened and we’ll all put a stop to this before too much harm is done. Teach for America – what a joke – a revolving door of kids who don’t want to be teachers, who are in the “good old boys” club, stepping stoning their way to their wealth. Follow the money. Shame on them all. It absolutely sickens me. It is impossible to see the Bill Gates Questions for 3rd graders. The paperwork is blurred. Could anyone correct this? Did you go to https://docs.google.com/viewer?a=v&pid=sites&srcid=ZGVmYXVsdGRvbWFpbnxzZWF0dGxlZHVjYXRpb24yMDEyfGd4OjRmNDEyNTM1YTA1NzczOGE for the original sheet? I think some of the statements aren’t true, they should have also considered even the failures of Bill Gates. If the students adopted it, then they have lived in a false history. Here’s the information that’s been gathered so far. All we know so far is that the president of Show What You Know Publishing has made large campaign contributions to Republicans in Ohio. OOPS! Typos in my post. I apologize for the poor grammar and spelling. I meant to say: The propaganda piece is masquerading as a 3rd grade reading test, and it appears that Gates and the test have now become “one” in the same! With Bill Gates’ involvement in education reform, I have to ask how this reading selection got into the test? Who is responsible for this propaganda piece masquerading as a 3rd grade reading test questions?! He and the test have become on in the same!!!!! I don’t know how it happened. The person who sent me this information has been doing the investigation on it. Yeah, it’s pretty scary, the “one in the same” thing. I look forward to finding out who this individual was. This is a HUGE STORY if the person’s identity—or his or her supervisor who approved it—can be determined and then questioned. A good read: Here’s a well-reasoned commentary in the L. A. Times, *quoting Bill Gates about the inadvisability of relying on test scores*. The article is critical of Gate’s inadequate field-testing, but it also refers to school districts’ too-quick grasping at new ideas, from which it is then difficult for them to extricate themselves. The history of computing is misrepresented. Fpr example, “Bill worked for six weeks with his friend Paul to write the first computer language program.”The first computer language program? Please don’t make me laugh. This should be the ending: And then his company dodged paying taxes which would have added to the economy. But no, he’s special and now he is taking over the world along with Obama, Cuomo, John King and Pearson. Only if we allow them to. Better to do what we’re doing, and fight back. If we do that, we’ll win this thing, no matter how much money they throw around. I also feel real disdain for the ‘working around the clock’ to achieve success model this promotes. We all wish for our children and grandchildren to have a LIFE beyond their work! Let’s go over what’s actually in the selection. Gates and Allen wrote “the first computer language program?” Simply not true. First of all, it wasn’t the first. Second, they didn’t write MS DOS. They bought it. Then they sold versions of it in such a way as to be in restraint of trade (e.g. requiring every hardware vendor with whom they did business to include it on ALL their PCs, even if the customer didn’t ask for it). Thus he built a monopoly and made so much money requiring his business clients to buy upgrades every few years that he can control what happens to public education. Patricia, this was one of the best points anyone has made about Bill Gates. He was very lucky to have his company’s early growth coincide with the first years of the Reagan Presidency, when enforcement of antitrust law became a historical oddity from the old days and when the justice department was run by worthless hacks under the direction of the corrupt Ed Meese, who when questioned about “monopoly” by the media, responded by saying he couldn’t wait to put hotels on Boardwalk and Park Place. Greed, for money or power, knows no limits and cites self-justification without irony or self-consciousness. And it gives up nothing for nothing. NY A.G, Eric Schneiderman settles with Pearson Charitable Foundation for a tiny fine of $7.7 million for taking state superintendents of education on junkets to Singapore, Rio, and Helsinki, knowing that Pearson Corp. will bid on huge contracts for CC testing and curriculum and databases. And, PARCC just awarded Pearson a huge non-competitive contract for CC testing and related materials. So someone please explain how the Gates Foundation gets to have spent many billions in funding advocacy groups like Teachers Plus, think tanks like Fordham Institute, trade organizations like NGA, PARCC, SBAC, and many lobbyists and pr firms — and then gets to bid to sell MS tablets to school districts? Is he above the law? Does he believe in hard work — and monopolies? Bill Gates is being held up as a great man in an essay written with his money. The Microsoft programs he created weren’t very good but sold ubiquitously all over the world to a very conservative business community who didn’t want to think different. He is a successful money man but not a great man because he made money. Perhaps Mr. Lair would consider doing a little investigation on the real deal behind Mr. Gates, “great work in health around the world”, Mr Gates was asked in a public forum about his vaccine experiments going on in Africa, where millions of children are dying?”, to which he replied, (paraphrase), “I am sorry about the children who are dying, but we are also saving children”. Now, I’d like for Mr. Gates to look at the parents of the children being sacrificed, it’s clear that he would never consider trial testing with children of the wealthy. Which goes to what he does in education, all his education experiments always take place with the children of the poor, working class, mostly children of color; why not test his education experiments with his own children and the children of his politically influential and the wealthy. Who wrote this? Bill? It appears to need some updates, such as ruining the education system in our country, data mining other people’s children and hijacking the word reform and philanthropy. Savior or pompous jackass? No mention of the antitrust actions against Microsoft, or the fact that in an earlier period of American history, the Microsoft monopoly would have been forced to restructure itself, for the good of the economy as a whole, as was done with Rockefeller’s Standard Oil in the early 20th Century. The kids could have also learned that if the United States had retained its tax code from the 1950’s, Mr. Gates would have been required to pay significantly more in taxes, which would have helped all American families substantially, and left him with probably a mere 3 or 4 billion to his name. You’re right. If Microsoft paid its fair share of state tax for Washington instead of going out of state for a huge tax loophole, we wouldn’t need his millions, a drop in the bucket for him, to do what he wants us to do. We would have enough resources to make decisions for ourselves in a more democratic manner and provide all of our students the best education possible. Wasn’t there some question about whether he stole the idea for Windows from Apple? Actually, not much of a “question” at all. His people just went out and effectively copied Apple’s software, a decision that almost sent Apple into bankruptcy in the 90’s. In an earlier era of American history, Microsoft would have been successfully sued for ripping off Apple’s patents AND would have been dismantled by antitrust legislation, pushed mainly by a Republican president named Teddy Roosevelt. Gee, no mention of him dropping out of school or his failure at his small schools idea or his desire to data mine every child’s info for what purposes we don’t know. This is absolutely hubris at its finest. Someone just mentioned on Facebook that Diane Ravitch should get equal time or rather, line space. Someone should red pen it and sent it back to the publisher with important additions and edits. I see no need to be negative, here. 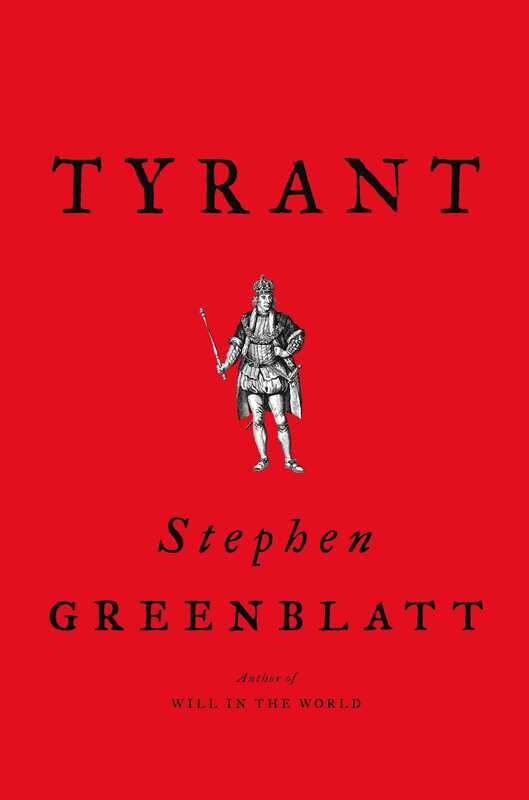 The essay is truthful about the realms it covers, and possibly inspirational. Bill Gates is not perfect, and he knows that. Mistakes are made, but on balance he is doing TREMENDOUS good throughout the World. Education and Monsanto should indeed be better addressed by him, but I think we should lobby specifically for that functionality, and not try to smear Gates in general. The essay does not re-write history or preclude specific disagreements with certain aspects of his approach! Frankly this sort of broad smear-cavil weakens the impact of those trying to address specifics, and trying to address them dispassionately and effectively. If I wanted to “smear” Bill Gates I would have written something negative but I didn’t. I simply described the exact wording of the question that was given to third graders. My post is posed as a question, not a statement. And in actuality, even though this sounds like an inspirational “bootstraps” kind of story, it isn’t in reality. Gates went to Lakeside where only the privileged can attend and got a start in his business by his dad, a successful and wealthy attorney. While at Lakeside, he was also fortunate enough to have what was a sort of PTA. The mom’s got together and provided students with one of the first computers which provided Gates with an opportunity to explore a new area. Unfortunately, his idea of education is nothing like what he had, small class sizes (remember, Gates said that class size doesn’t matter), high stakes testing (Lakeside students don’t take standardized tests), Teach for America (young, fresh, energetic with no background in education for a 2 year stint), whereas at Lakeside the teachers are touted as having advanced degrees and much experience teaching in the classroom. Mr. Gates also had an opportunity to explore different ideas which unfortunately, students have no time for because of all the testing and the money that is spent on testing, test prep and common core standard materials. There is nothing left over for enrichment programs. That only happens if a PTA can raise the funds and these days PTA’s are spending their money on additional staff that has been taken away due to financial constraints. And we won’t even get into charter schools. If my daughter was in third grade and had to read this test question, I would also provide her with the other half of the story. What right does Bill Gates have to change American education ? Who elected him? Who is he accountable to ? What does he know about education ? Why does this person have more say over my child’s education that I do ? Bill Gates is is a monopolist attempting to impose his mediocre view of reality on the entire United States. He is a cancer on democracy. If he wants to help people he should give money to people who actually know what they’re doing. He give not a dime without many, many strings attached. I’m sick to death of this arrogant deceitful person. I think your points about the essential veracity of the above essay is correct. That’s not my main concern with it. What bothers me is that this would appear on our state’s—and his state’s, incidentally—standardized test. I’m actually embarrassed for him. I would hope that if he knows about this—and he will, eventually, if he doesn’t already—that he is feeling a bit chagrined or at least self-conscious. People know this man’s story by now. Even kids. If anything, they’re much more prone to idol worship over Mr. Gates than we adults, who are more prone to see his contradictions and imperfections. I don’t consider this to be any sort of ad hominem attack on Bill Gates. It’s simply reproducing what is on this test. The point is not a possible inaccuracy, nor to attack him, despite his very questionable actions made possible by his vast wealth. Finally, given his vast wealth, his ubiquitous media coverage and his already iconic status in the popular imagination, did his “American Fable” have to appear on a standardized exam that 99% of our children are FORCED to take? Knowing that all of our public school students—some of whom are just 8 year olds, in the third grade—will have to take the MSP, this “Bill Gates Demigod Story” is jarring. Having it in this context—where almost every child must read and analyze it, is what concerns and alienates me, as a parent. It reminds me of certain aspects of the Chinese Cultural Revolution and the iconic status of Chairman Mao—everywhere—during that time. I don’t want to live in a society where any one person is of that “Other Worldly” status. Hopefully I’ve conveyed that this is not any sort of personal attack on Bill Gates. It’s just a question of what is appropriate in a certain time and setting. I wish he would stop doing good and just go back to work. Bill gates is very smart, but he is not wise. His ego is helping destroy public school education.